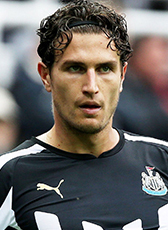 After a successful WC in Brazil, Dutch defender Daryl Janmaat moved on a 7,5ME transfer abroad. Newcastle United signed the international on a 6-year deal until 2020. After relegation of Newcastle United at the end of the 2015-2016 season Janmaat moved to Watford and signed a 4-year contract. Watford agreed with a £7.5M transfer fee.